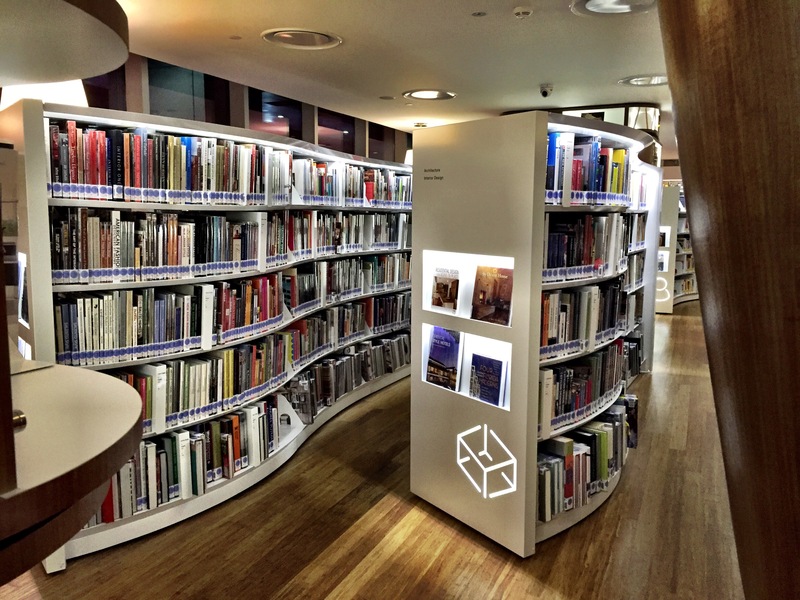 There was a library along Orchard road which was very popular. For those who remember, it was at Ngee Ann City. It’s been 7 years since it was closed. 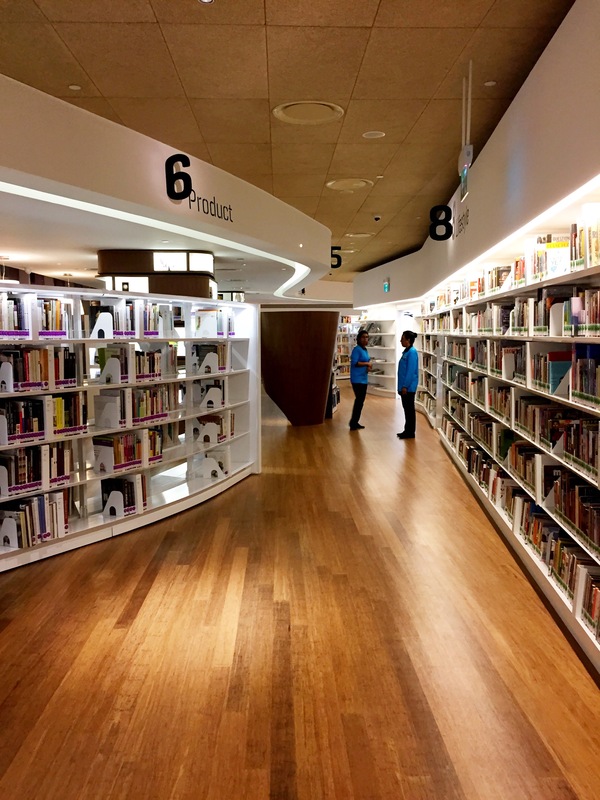 The new library is now located on levels 3 and 4 of Orchardgateway. 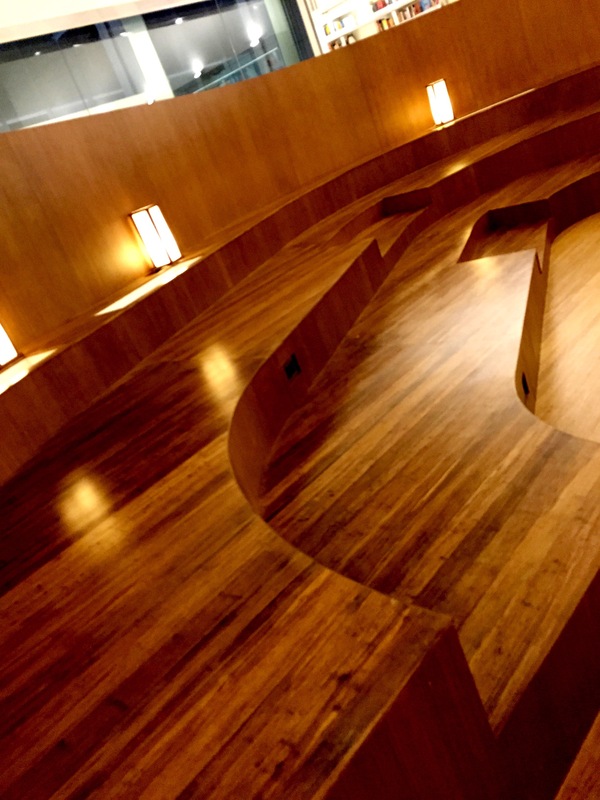 Designed like a loft, with a lot of wooden elements, it was pretty cool and I loved it much more than the previous one. 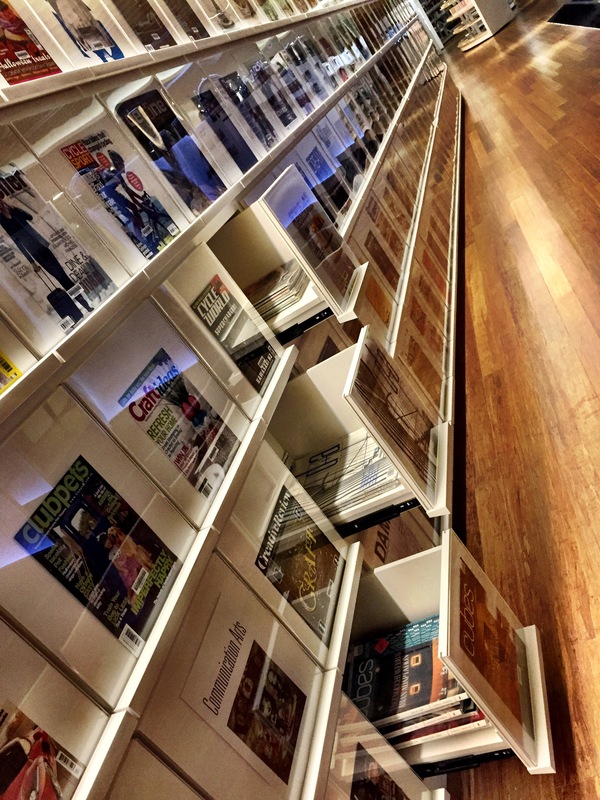 Upon entering on level 3, we walked past the Magazine Wall which was actually magazine drawers neatly lined on the wall, housing many different magazines ranging from architecture to fashion to cooking and more! 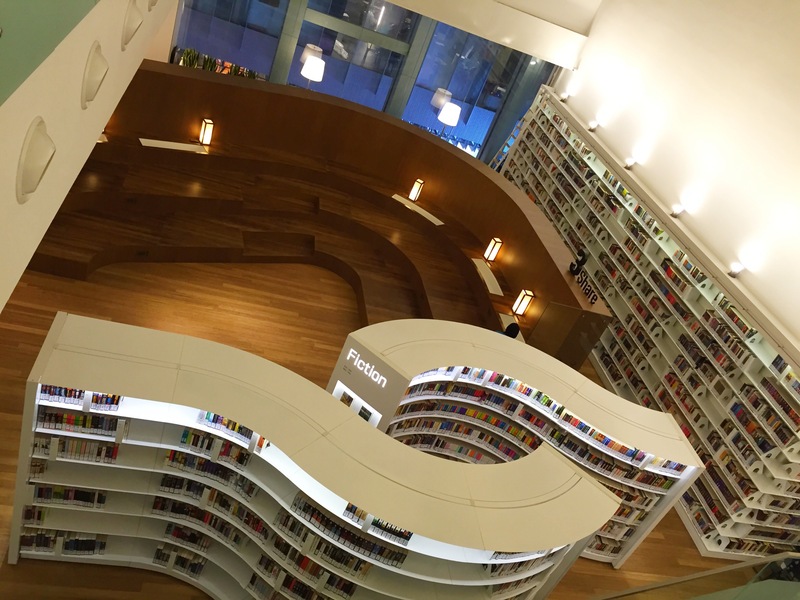 I wouldn’t say that the library is huge. It’s a good size ensuring patrons feel cosy. 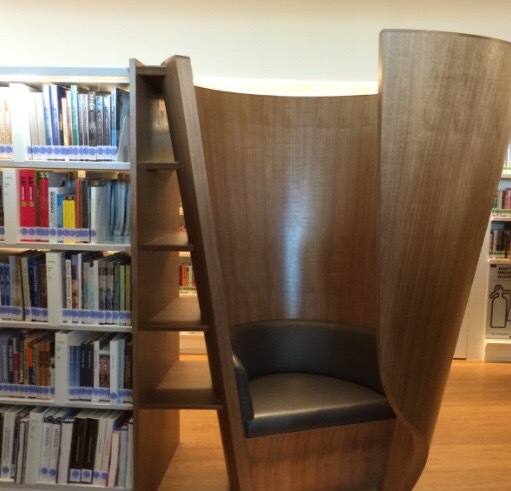 There were ample seats around the library from the home grown furniture label Air Division. And I especially love the cocoons which were tucked in corners and looked so cosy. It’s like one could drift into his own world listening to music while flipping through travel guides… Oh yes, there are lotsa travel guides in this library in English and Chinese languages. The curved shelves were also brilliant. 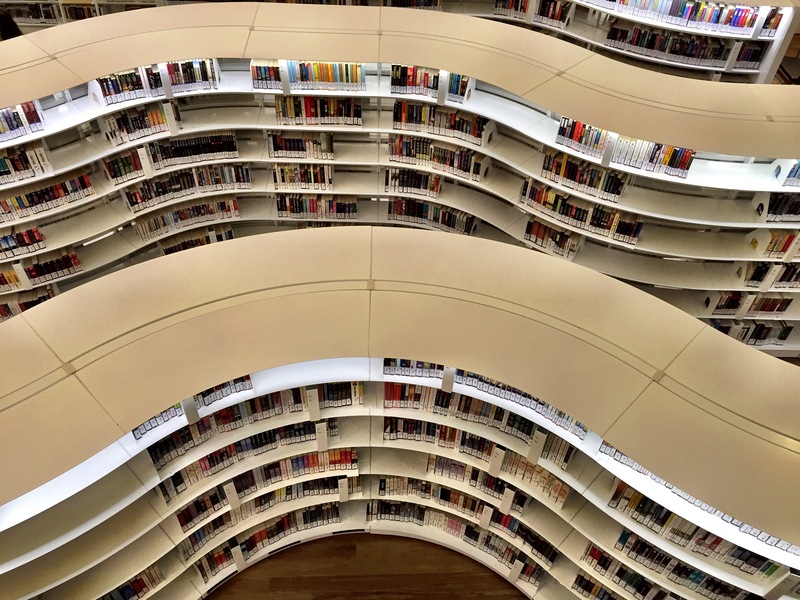 From level 4 or on the stairs, the shelves looked like art forms. 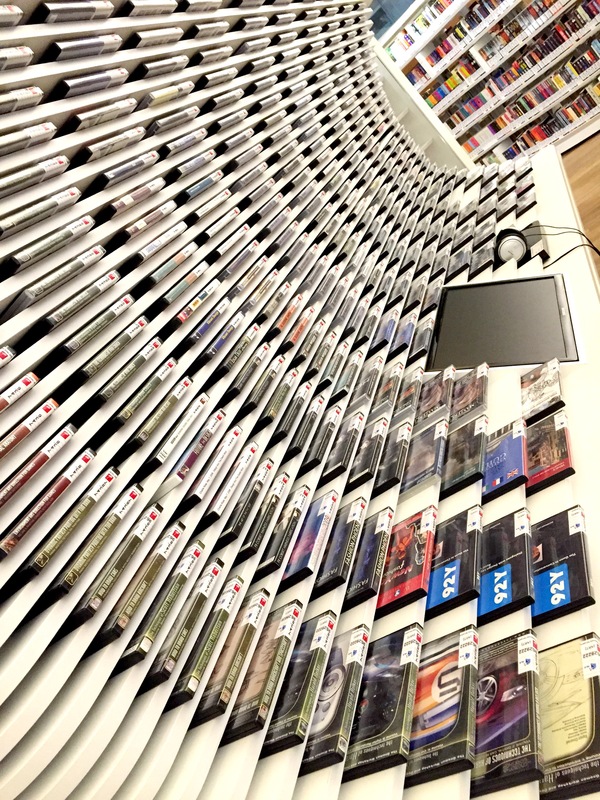 There was also an audio visual shelf which was an art by itself. Clever play on the neatly organized cases, very nice indeed. Now there is a new hang out place along Orchard Road!